Ch'oe Ch'eol-han (최철한, 崔哲澣, Choi Cheolhan, b. 12 March 1985 in Seoul, South Korea) is a Korean professional 9-dan of the Hankuk Kiwon. He was a student at the famous Kweon Kap-yong baduk academy in Seoul. Ch'oe is known for being part of the newcomer generation that successfully challenged Yi Ch'ang-ho's dominance in the mid 2000s, and for his ferocious fighting style that has given him the nickname, The Poisonous Snake. On 20 August 2013, he reached his 900th career win (the 10th Korean to do so). valerio: In 2013 Hankuk Kiwon changed the counting of official records. Now, also games played in Chinese League count. Hankuk Kiwon player profile: http://www.baduk.or.kr/info/player_view.asp?gno=1123. According to http://www.go4go.net, his score versus Yi Ch'ang-ho was 10-7 through April 2005. Now (2009-10-31) his score versus Yi Ch'ang-ho is 24-24; at the same date, Choi was ranked #1 in the Hankuk Kiwon Pro Rating. In 2004, a series of English interviews were done: Part 1, Part 2 and Part 3. In 2004, he advanced to the final of the 5th Ing Cup allowing him exemption from military conscription. 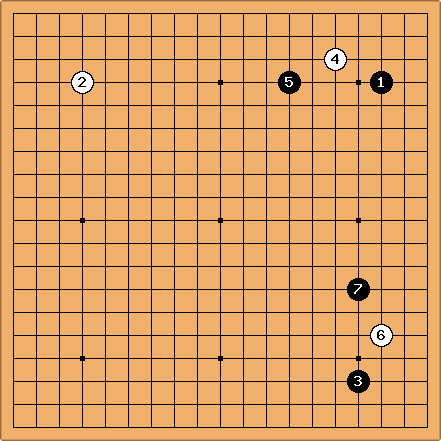 Some of Choi's games: Go4Go.